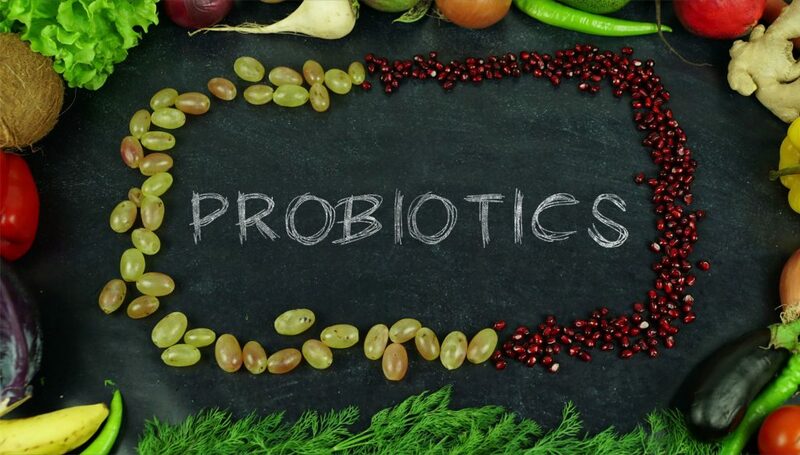 Probiotics are live bacteria and yeasts that reside inside your body. They are good for you, especially your digestive system. More and more studies show that the balance or imbalance of bacteria in your digestive system is linked to overall health and disease. An imbalance means there are too many bad bacteria and not enough good bacteria. It can happen due to illness, medication such as antibiotics, poor diet and more. We usually think that bacteria and yeast are germs that cause diseases and in most cases, they do but probiotics are different. Probiotics are often called “good” or “helpful” bacteria because they help keep your gut healthy. They promote a healthy balance of gut bacteria and have been linked to a wide range of health benefits. As much as they are important, there is a chance that you might lose these good bacteria. If for anyone reason you take antibiotics, or if you have food intolerance or a leaky gut then there is a good possibility that you might have lost them. In order to replace these, you have to take probiotics. Now the thing that’s important here is that the probiotics that you take must form colonies in your body otherwise as soon as you stop taking them all the good bacteria will be flushed out of your body. So, a good brand must form bacterial colonies for them to survive and fight the bad bacteria/diseases even after you’ve stopped taking them. I would like to talk about three different probiotics today that work best for different purposes. These probiotics are multispecies probiotic specifically developed for managing and maintaining the intestinal balance of adults. Since the product is a multispecies broadspectrum formulation, it is able to be active at all three different levels in the gut. The second one maintains the barrier function of the intestinal wall. The intestinal epithelial wall is the largest contact area between the outside world and the human internal milieu. The epithelial cells function as a barrier by preventing pathogens, toxins and other antigens to enter, while allowing the absorption of nutrients and water. These antigens are presented to the immune system by the epithelial cells to develop and maintain a properly functioning immune system. The intestinal barrier plays an important role in the development of autoimmune and inflammatory diseases. The barrier function of the intestine can be influenced by different factors, such as antibiotics, infections, stress and drugs. These factors can lead to an increased permeability of the gut wall and a disturbed intestinal barrier function, also called a ‘leaky gut’. This increased permeability of the intestinal barrier has been associated with the development of auto immune and inflammatory diseases. Moreover, an increased permeability leads to increased levels of endotoxins in the blood, which are linked to systemic inflammatory diseases, such as metabolic syndrome, diabetes, atherosclerosis, chronic fatigue syndrome, autism, migraine and rheumatoid arthritis. Previous research has shown that probiotics can restore the intestinal barrier function. The third one that I’d like to mention helps prolong the remission time of IBD. Inﬂammatory Bowel Disease (IBD) is the umbrella name for ulcerative colitis, pouchitis and Crohn’s All three diseases in the IBD group are characterized by ﬂare-ups and remission. IBD affects over 1.2 million people in the USA and 2.2 million in Europe (2004). These numbers are expected to show an absolute growth of 7% between 2005-20252. Probiotics can be used to induce and prolong remission time. The intestinal mucosal barrier has evolved to maintain a delicate balance between absorbing essential nutrients while preventing the entry to harmful contents. Disruption of this barrier has been implicated as an important pathogenic factor in IBD, which results in an overactive immune system, thus leading to mucosal inﬂammation. Several studies have been conducted to measure the effects of probiotics on IBD patients. Overall, probiotics seem to have most effect on patients with ulcerative colitis or pouchitis. The effects of probiotics were shown to be highly dependent on the type of bacterial strains used. Research has shown that probiotics have strain-speciﬁc effects and that multispecies probiotics are more effective than mono-strain probiotics. For each application of probiotics, the right combination of strains must be selected. 1 inhibit various pathogens associated with IBD (C. difﬁcile, E. coli) (level 1). 2 improve barrier function (level 2). 3 induce the production of anti-inﬂammatory cytokines (level 3). Because everything in our body that has been made has a good reason and these good bacteria are no exception. They are very important for the overall health and wellbeing of a person.